Experience in company meetings on sales is mandatory and the applicants must be willing to travel around the San Fransisco Bay Area for sales meetings with clients and prospects. Send us three previous digital companies they have worked at and what was the pay rate on each company. Please specify how long have they have been in their career, this must be verifiable. Our digital marketing agency works with clients who are starting new projects online, who want to improve the performance of their website, who want to generate more sales in their online store, who are in need to outsource part of their online marketing, and more. 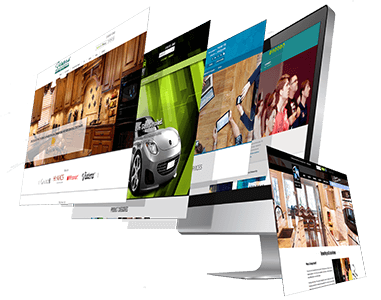 Web Design Beast offers solutions for each business, whatever their situation might be and make sure to launch the right project for every company that works with us. Our team understands the market of our customers and their competition. Which is why we require hiring people who can deliver online marketing strategy that produce results, are creative, and innovative. On addition we work with a dynamic structure in digital marketing that allows us to adapt without fissures, nor tensions, according to the size of the client. We can help small, medium, and large companies position themselves on the Internet. Only the resources create their space in the digital world according to their size and their history in the real world. Thus managing to cut the company-consumer link in this new online world. We believe in good ideas, flexibility and accuracy. Our process comes from the joy of experimentation, open developments and extraordinary attention to detail. Marketing automation: Connecting customers and their needs to companies and deliver personalized communications. Lead Breeding: We develop “lead nurturing” strategies to optimize the quantity and quality of a client’s leads. Online store: We design and execute online stores. Online Marketing Plan: We define an online marketing plan for each company, with clear and measurable objectives. Web analytics: We teach clients how to interact with their visitors and improve their profitability. Web positioning: We offer professional advice and achieve the most appropriate strategy for companies. Web Design and Development: We create digital marketing campaigns designed and tailored for each business and each client since each company requires a customized and different strategy.